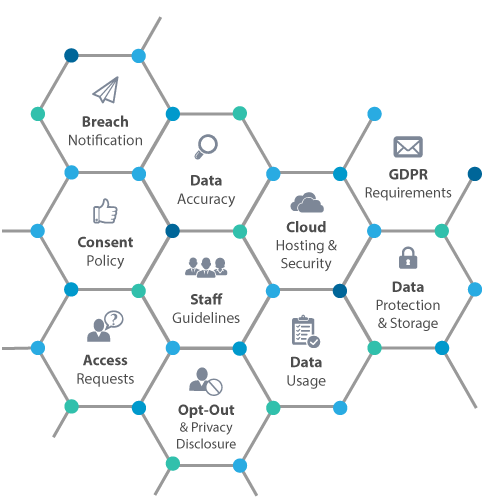 The General Data Protection Regulation (GDPR) (Regulation (EU) 2016/679) is a regulation the European Parliament, the Council of the European Union and the European Commission ratified in 2016. It is intended to strengthen and unify data protection for all individuals within the European Union (EU). A GDPR-defined processor, B2Lead maintains business data on EU citizens limited to only that which is minimally necessary for the specified purpose of business-to-business marketing. B2Lead processes data for B2B communications and all marketing programs are for business purposes only. Our sole aim is to connect with the ‘business’ and not any individual. We do not perform any marketing campaigns for personal consumer-targeted marketing. Because B2Lead uses electronic communications exclusively to other businesses, it falls under the GDPR consent definition of “Legitimate Interest” in Article 6.1(f) of the GDPR law. This allows for commercial interests to communicate with other commercial interests.